The FMCSA ELD mandate went into effect in December 2017, and regular enforcement will begin April 1, 2018. With very few exceptions, truck drivers are subject to the FMCSA’s Hours of Service (HOS) rule and must have either an Electronic Logging Device (ELD) or an automatic onboard recording device (AOBRD) installed. 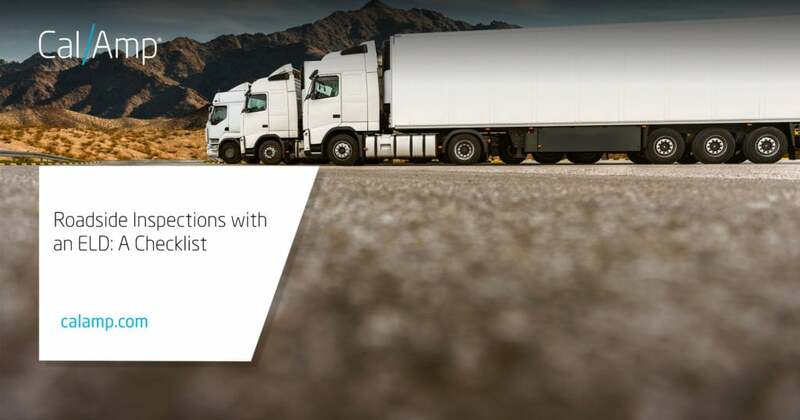 The good news is that when you implement an ELD system in your fleet, you will benefit from reduced time spent on paperwork, quicker DOT inspections and improved safety for your drivers. The ELD mandate has support from industry advocates, including the American Trucking Association. This change in the way drivers keep their records is a good one, but it will require some time to prepare your fleet. Do your drivers know how to provide the new format of their HOS information at an inspection? Don’t risk fines, being placed out of service or collecting points against your Compliance, Safety, Accountability (CSA) carrier scoring system. Make sure that your drivers have the equipment, documentation and information they need to pass through inspections without delay. If you are using an ELD, the FMCSA requires that your vehicle have an ELD information packet on board with you. This packet should include all the information a driver would need to operate the device and produce the Record of On Duty Status (RODS) reports at an inspection. The ELD mandate has been in effect for over two months; still, the technology and routines are presenting a change and sometimes challenge for both driver and inspectors. Producing the ELD reports is a driver responsibility, and fleet managers will want to make sure that drivers are prepared to produce the required reports quickly upon request. Drivers typically have several choices for reporting their RODS using an ELD. On the Device—Drivers show the ELD screen with the RODS information. Showing an HOS log on the device itself will be a quick and sure way to comply with ELD requirements. Wireless Web Transfer—The driver will transfer ELD data to an FMCSA server using a routing code that the safety officer provides. The safety official can retrieve data from this server. Email — ELD devices are programmed to send email reports. The safety official will provide the driver with a routing code to reference in the email. 0 — An authorized safety official will provide a secure USB device to allow the driver to electronically transfer data from the ELD. Bluetooth—The driver can transfer ELD information to the safety official through a Bluetooth connection. The safety official provides a routing number to the driver, which the driver then uses when sending the ELD information. The ELD mandate is relatively new, but many drivers may soon prefer the automated record keeping to their paper logs and companies may experience a savings because the drivers will spend less time manually completing their reports. Any change requires some preparation and training. However, with the right processes in place, your drivers should be moving through the inspections faster than ever.